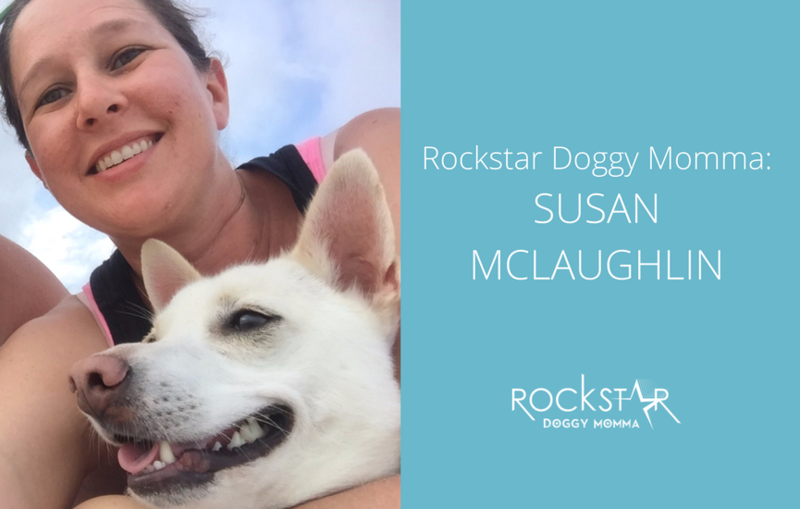 Susan McLaughlin is a lawyer who started a business and quit her full time job. 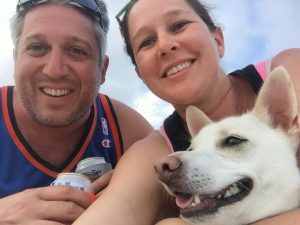 Having her doggy Levon helped her in the transition from a corporate job to working from home in uncountable ways, but most of all, he’s a living soul to connect with daily. Here’s Susan’s story. Tell us the story of how you became a doggy momma! Did something in your life happen that influenced you to get your doggy? If so, tell us the pawsome tale! After longing for a dog for several years, I finally wore my husband down. Also, I had just started my own business and was dealing with that major career transition. My business runs out of my home so I knew I would be working from home instead of in an office an hour away 10-12 hours a day. We got Levon for some company and also because I felt like there was room in my life for someone to love and care for. Our first attempt at adoption didn’t work out (the foster mom decided at the last minute not to give the dog up), but we found Levon on petfinder.com. The rescue organization (Heavenly Hearts Animal Rescue) brought him from Brooklyn to Long Island over for an introduction. It was love at first sight. We adopted him on the spot and refused to let him go. Now he’s my constant companion. He naps in my office during the day while I work. When I need a break, we go for walks around the neighborhood. What is the #1 thing you love about being a doggy momma? I just love Levon so much. He’s definitely part of our little family. I also love how he’s “introduced” me to other people in my neighborhood. I’ve lived in the same house for 6 years, but since I’ve been walking Levon every day, I have met more people who live around me than I ever did before. My husband and I joke that everybody loves Levon, but it’s true! He’s pretty unusual looking and people stop and ask all the time what kind of dog he is. My answer is usually half awesome and half fabulous. Let’s talk momma/doggy health! What do you do together to stay happy and healthy? Just being able to cuddle and pet him de-stresses me. But the best part is the walks. I start each day with a 2 mile walk with him. That seems far as I say that, but we go for an hour and according to my iPhone it’s 1.95 miles! I would never do that without him. Also, starting a business is super stressful. Sometimes we walk in one of the two state parks that are near me, and it’s great for the both of us to be in nature. I also get to listen to audiobooks and podcasts that help to ground and center me in the running of my business during our walk to make it educational as well! Even my husband, Tom gets in on the action. His evening walks are just a long. 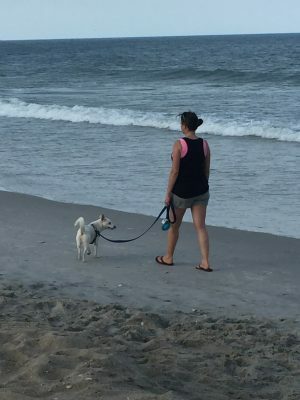 We even found a dog-friendly beach in North Carolina so we can take Levon on vacation with us. What is the biggest gift you have experienced being a doggy momma? I don’t have human children, so before Levon I never got to experience what it’s like to take care of something who depends on you for survival. It’s a huge responsibility, but the best thing that I’ve ever done in my life.